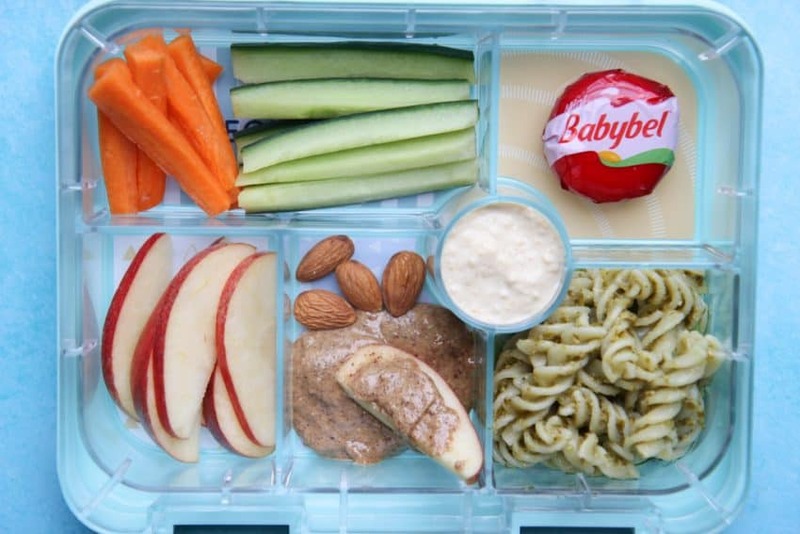 Are you looking for back to school lunch ideas? Is your Septmber goal to be more organised when it comes to packing the kid’s lunches? 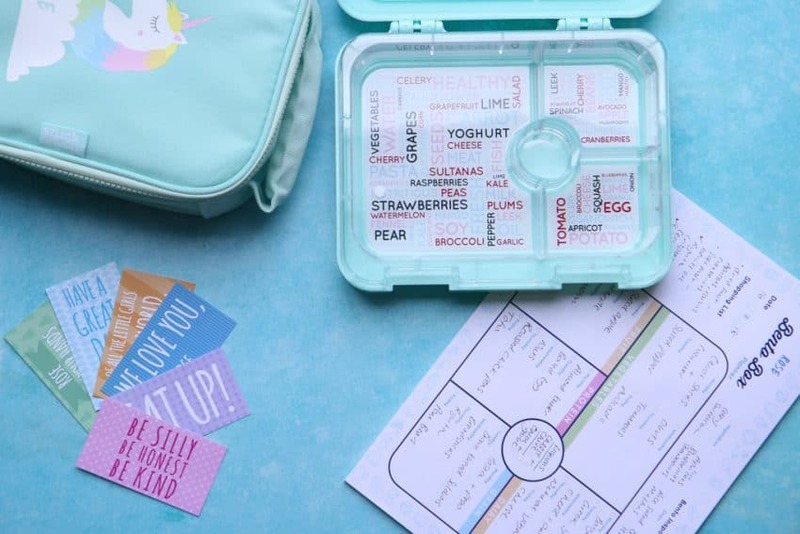 You need to try out a Stuck On You Bento Box! 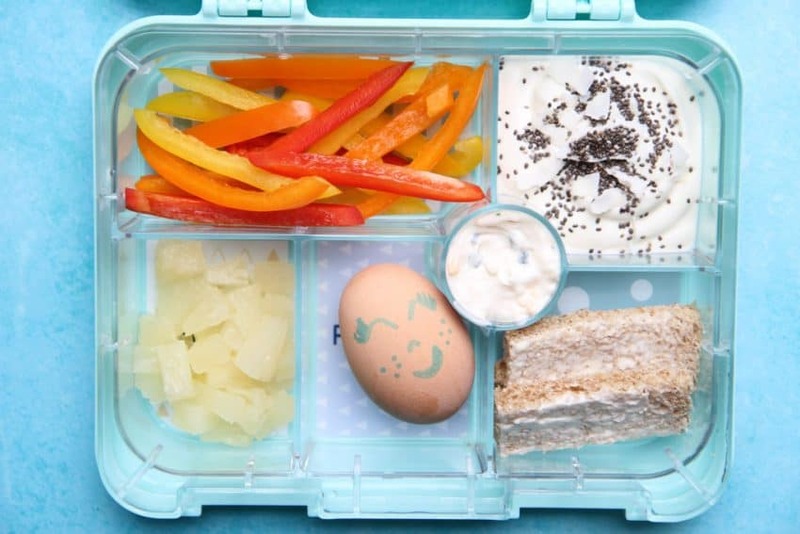 To get you started, I’ve come up with 5 kids’ bento lunch ideas that are easy to put together, healthy and fun! I was scrolling through Facebook the other day and one of my friends mentioned that although she’s usually totally disorganised she’d already ironed school uniform in time for September AND had begun lunch planning. Say what?! I need to get this organised, I thought. 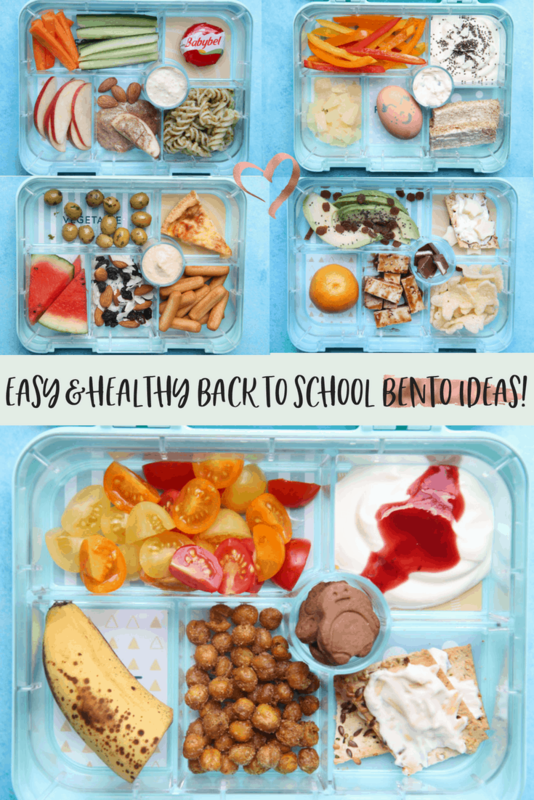 I love coming up with Bento Box lunch ideas and Stuck On You make it really easy. 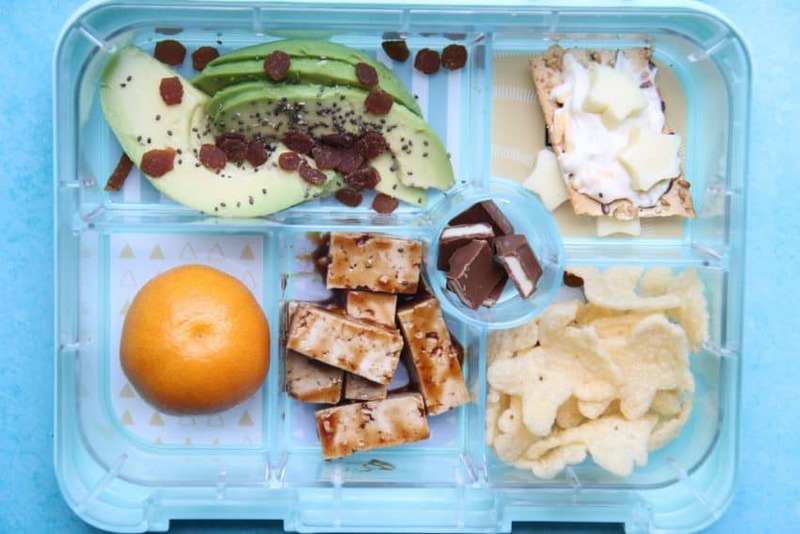 The kid’s bento box is perfect for packing back to school lunches. It has a hard shell outer box and is designed with a five compartment tray plus a little space for a treat, sauce or a dip. The tray is really helpful for identifying portion size and ensuring lunches are healthy and well-balanced. There’s a leak-proof silicone sealed lid which keeps everything separate and making sure there’s no leaks or spills. There is also a four compartment sandwich tray available which will be so useful and avoids the squashed soggy sandwich scenario. There is a wide variety on bento boxes available on Stuck On You with 5 colour options, 32 designs and 12 different fonts. We went for the unicorn because obviously, everything is unicorns here at the moment but I also really liked the cute avocado design. 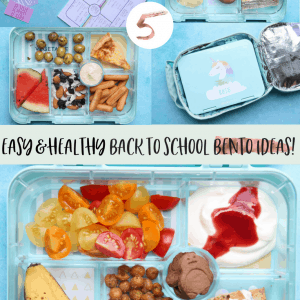 It would be fun to let your little one chose a design and when the bento box arrives, encourage them to help out with packing their own lunch and coming up with their own back to school lunch ideas. It is such a brilliant way of teaching your child healthy eating in a really fun way. School packed lunches have definitely moved on from when I was a kid and we got a sandwich tossed in a carrier bag! The Stuck On You Bento box is very sturdy and hardwearing and an amazing product that can be used on its own but I also really recommend getting the cooler bag. It neatly fits the bento box inside making it super easy to carry and best of all it keeps everything inside the bento box extra fresh and can also be personalised. We love it! 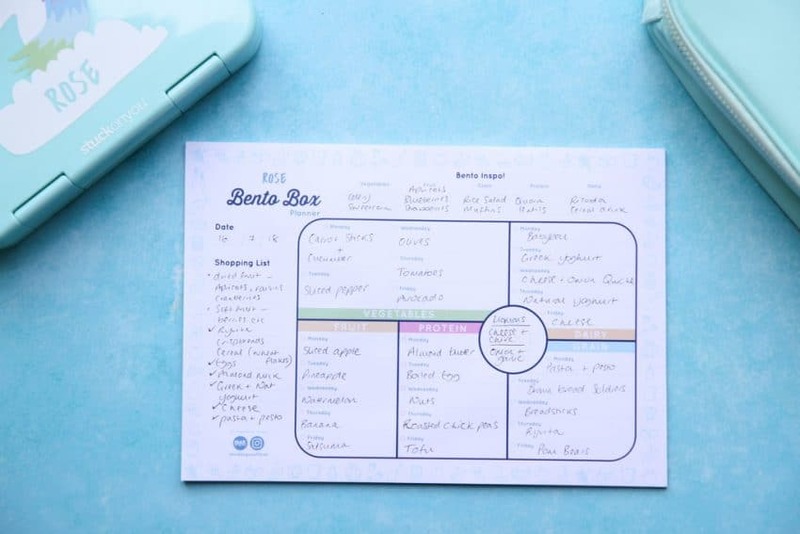 If you love writing lists and planning then the Bento planner pad is for you! It’s a handy way to plan out lunches for the week ahead. Start as you mean to go on ;-) planning rocks! The little lunchbox notes are a really sweet touch, Rose will love getting a little note in her lunch making it extra special. You can buy the pieces I’ve mentioned above separately, or there is Bentopia -a mega Bento Box bundle where you can buy everything at a huge discount. 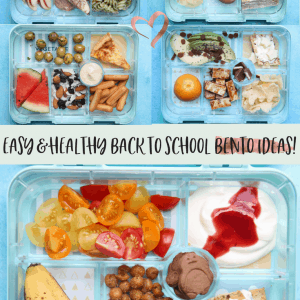 I hope I’ve given you plenty of back to school lunch ideas using the Stuck On You Bento Box and accessories. Don’t forget to look through my Recipe Index for loads more recipe inspiration. Do you love Bento boxes as much as me? Let me know. Leave a comment, rate it, and don’t forget to tag me @amytreasureblog on Instagram so I can see it! Disclosure: This post was commissioned by Stuck On You. Oh, these are perfect for those kiddos that NEED everything in its own place. I have one of those — food cannot touch if there is going to be peace at the dinner table. 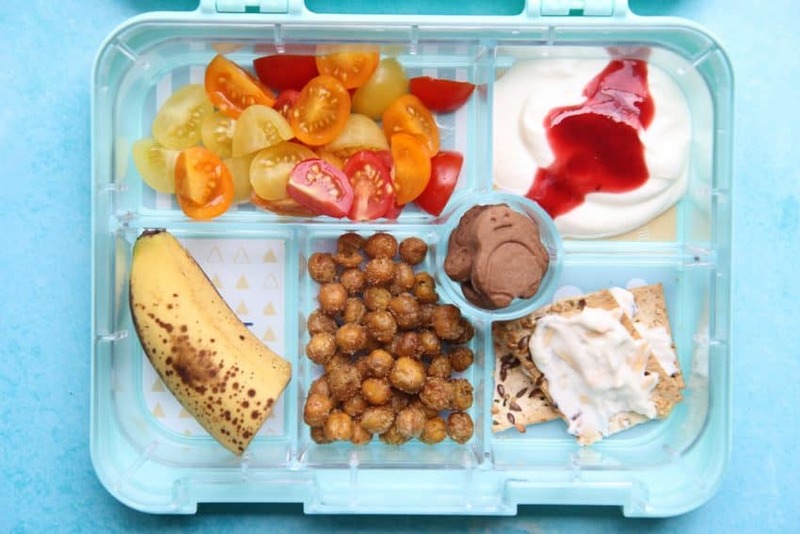 Love these lunch box ideas. OMG these are ADORABLE bento boxes!! I used to pack bentos for myself when I had an office job, and now that I have a kiddo, he loves them too! Great planner and lunch ideas! These are super cute and so much fun! I want them for me more than my kid, is that bad? It’s similar to the lunch box Tupperware I use for her now, but I like how there are more compartments with these. I needed this ideas! School time is right around the corner and packing school lunches is such a headache. Is it wrong that I would totally carry one of these myself and I’m 31. 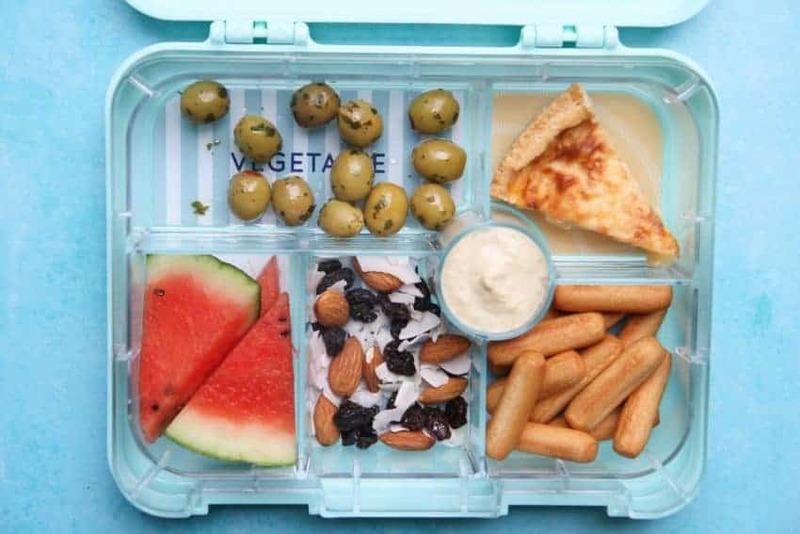 These bento boxes are seriously so cute! What great ideas to mix it up when you pack these for school. I just sent this to my sister. She has 6 kids under the age of 14 and so she needs this more than anyone!! Ha! I don’t have any kids, but I’m going to share this with all my parent friends because these are SO GOOD! What fun bento box ideas! 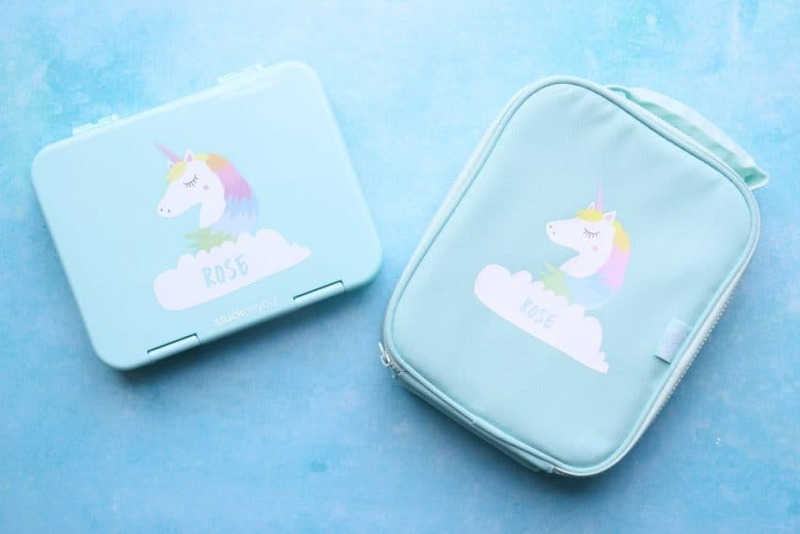 I don’t have kids but I would totally go for these for myself (and yes, that would include that sweet unicorn bento box #I’mAnAdultIDoWhatIWant). Bento boxes are great. I love them. Love all your lunchbox ideas. Need to save this for school. It’s starts soon and I always need some ideas. Thanks for sharing this.